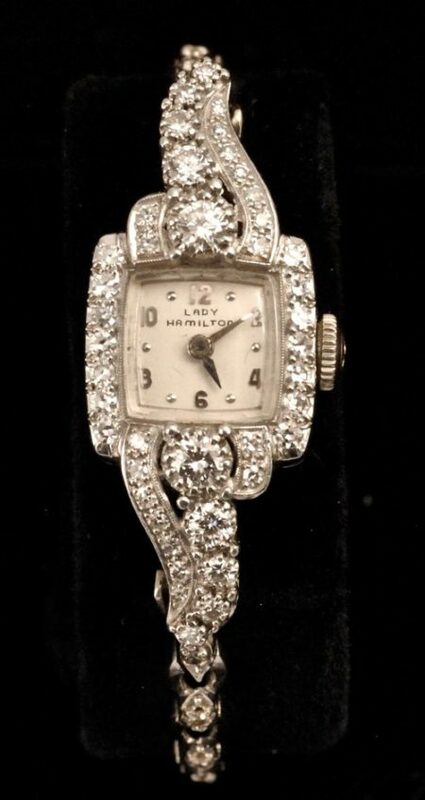 This elegant American ladies wrist watch by Hamilton displays a beautiful example of sophisticated Art Deco design. This watch features a platinum head with a 14K white gold bracelet. Diamonds delicately comprise the watch bezel and continue fully around the bracelet.